Went to Lush to see if they had anymore Halloween stuff. 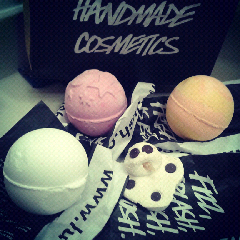 Unfortunately, they ran out of the pumpkin soap bar =( buttt I was able to pick up some other goodies. Ill give my thoughts on them once I try it!